If you suffer from pain, you probably have tried countless over the counter medications to help alleviate that pain. When nothing else works, you could consult with your doctor and ask for a prescription, or you could try CBD oil for pain. Before you do, you should read this article for important information, first. Sometimes life hurts. When the body starts to experience pain, we don’t know where to go or what to do. Your best bet is to become educated on all the latest information and potential remedies. One of those possible remedies is CBD oil for pain. It’s a safe alternative to harsh, and potentially addictive prescription painkillers. Keep reading for a simple guide to the nature of pain, and a safe product you take to help you through it. Pain is a phenomenon of the mind. It is a kind of thought. Without conscious thinking, there can be no such thing as pain. That’s why general anesthetics work. When you go under the knife in a surgery, the doctor will generally administer two kinds of drugs: one is called a paralytic. The other is an amnesia-inducing drug. What happens in surgery, is that you are paralyzed so that you cannot move, and you are given a drug that prevents the formation of short-term memories. When the knife cuts into your body, the nerves in the incision point actually fire off the same signal they would under normal conditions, but the mind doesn’t register the signals. The nerve signal moves up through the body into the brain, where they get lost due to the drug. You can think of what’s happening in surgery as your body still experiencing pain, but your mind not remembering the pain. This is important to understand when dealing with chronic pain: it is truly in the mind. That’s not at all to say you’re “making it up”. You’re not making it up, but how the pain affects you is related to your state of mind and your conscious thoughts about the pain. The really good news about this information to chronic pain sufferers is that while you might not be able to heal the condition or the injury that is causing you pain, there are things that you can do. You can use techniques like meditation, yoga or even use CBD oil for pain management. American Navy SEALS, the most elite combat unit in the world – have a rule when it comes to pain, and how the mind behaves toward it. When the mind says “I cannot do this anymore”, you are only 40% of the way to where that is actually true. Navy SEALS are elite athletes, but you can draw a lesson from this when it comes to pain. When you hurt, and your mind tells you, “I cannot take this anymore.” Realize that it simply isn’t true. You’re only 40% of the way to being not able to take it anymore. You are what you concentrate on. If you can relax, reduce stress, meditate, talk to a friend, or do ANYTHING other than sitting there contemplating your pain, you really have a shot at dealing with it, no matter how bad it gets. “Dope” is the street name for heroin, which is a form of morphine. Morphine is the world’s most effective painkiller by far, and it is the principal chemical [derivative] in most painkillers like oxycodone and fentanyl. These drugs work by directly blocking the pain receptors in the mind. The major problem with these drugs, and why they are absolutely not suitable for long-term pain management, is that they are both addicting and that they have a less powerful effect the more you take them. That is a double whammy! The more you take them, the less they work, and you become addicted. Sounds good? Human beings have been using cannabis since before the dawn of civilization. Inside the Great Pyramid of Giza are hydrographs of ancient Egyptians smoking pot. In all that time, you know how many people have overdosed and died from using cannabis? Zero. Marijuana is the flowering part of the cannabis plant. It has a pleasant taste when smoked, and can cause you to be intoxicated or to “get high”. While this sounds like fun, you might not want to be high all day. A cannabinoid is a chemical found in the cannabis plant. THC, or tetrahydrocannabinol, it the main cannabinoid that gets you “high”. But there are over 140 other known chemicals that come out of the cannabis plant. Science is only now understanding their individual effect. There are other cannabinoids beside THC which seem to have medicinal value. Many people have taken them and reported positive effects. CBD, or cannabinol, is the most prevalent cannabinoid in cannabis by weight. 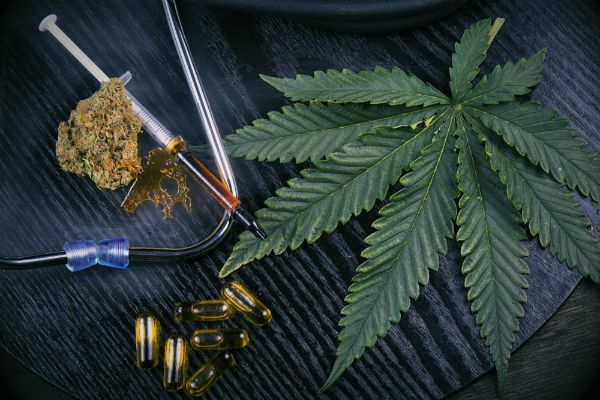 Cannabinol has no intoxicating effect on the mind, but there is ample evidence that it can affect things like inflammation and pain sensitivity. Many people have reported positive results using CBD oil for the long-term treatment of pain. Another great thing about CBD oil is that it is extremely safe. That makes it one of the safest oils you can use for the treatment of pain. When you buy CBD oil, look for the best CBD oil you can get from a reputable dealer. It is legal in every state in America and most of the world. Research into CBD has been hindered by federal restrictions. Scientists believe that the cannabinoid is an incredibly useful tool for treating medicine-resistant epilepsy, but other claims about CBD have been less thoroughly vetted. Keep an open mind when you try CBD. You’ll need to experiment with different dosages and ingestion methods until you figure what works for you. Some people prefer munching on CBD-infused snacks while others prefer their oil mixed with a lotion. If you’re considering trying CBD oil for pain, you’re in good company. The body is an intricate machine with millions of moving parts. Sometimes it doesn’t work so well and you need a little help! It’s a new dawn in America. 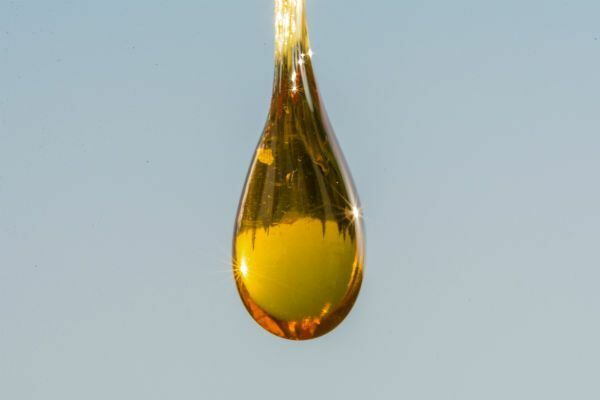 Marijuana is being legalized in many places, and as a side effect, the legal CBD oil industry is booming in every state. Why not give it a try?